If you are going to be entertaining this holiday season, make sure to mix up a batch of this Orange Cranberry Holiday Party Punch! 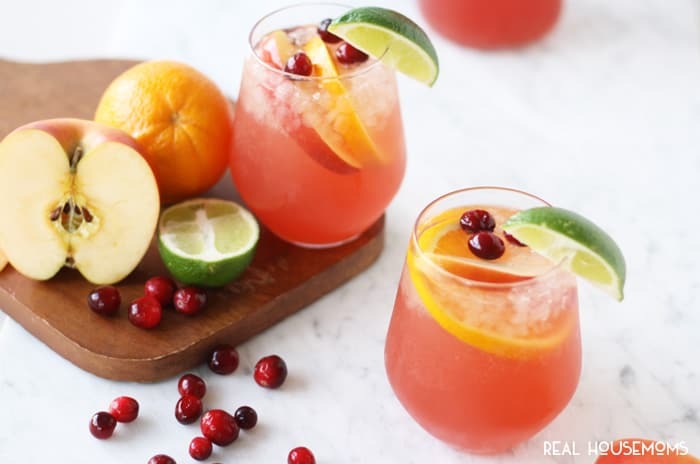 ORANGE CRANBERRY HOLIDAY PARTY PUNCH! When it comes to the holidays, more than likely we will be entertaining at some point. We love hosting our friends and family at our home. We love good food and we always have something good to drink. Even if it’s just a small gathering. I always love to mix up something special for our guests. We usually have little guests under the age of 21 so our drinks are all alcohol free. 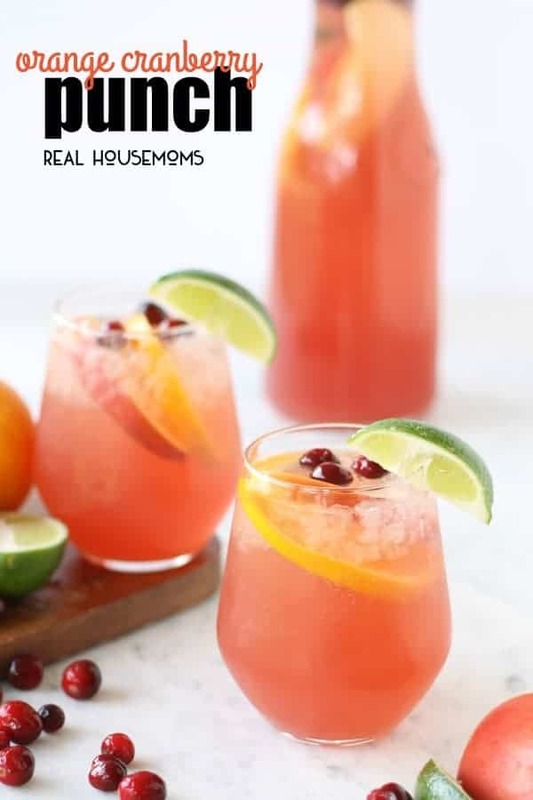 Even though there is no alcohol, this orange cranberry holiday party punch has become one of my favorite easy party punch recipes. This holiday party punch has all the flavors of the holidays in one delicious sip. 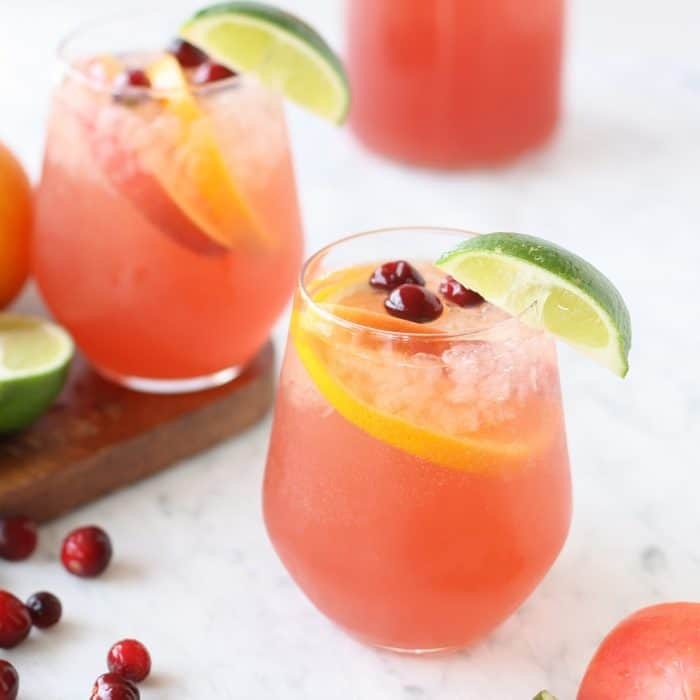 Full of cranberry, orange and apple flavors, this party punch is not only delicious, it is pretty too! Especially if you garnish it with all the beautiful fruit of the season. And of course it has to have a little fizz! I just love a good party punch. Whether we have 1 guest or 40, I like to keep things on hand to mix up a fun and fruity drink. I just think they are lots of fun and can add so much to a simple get together. 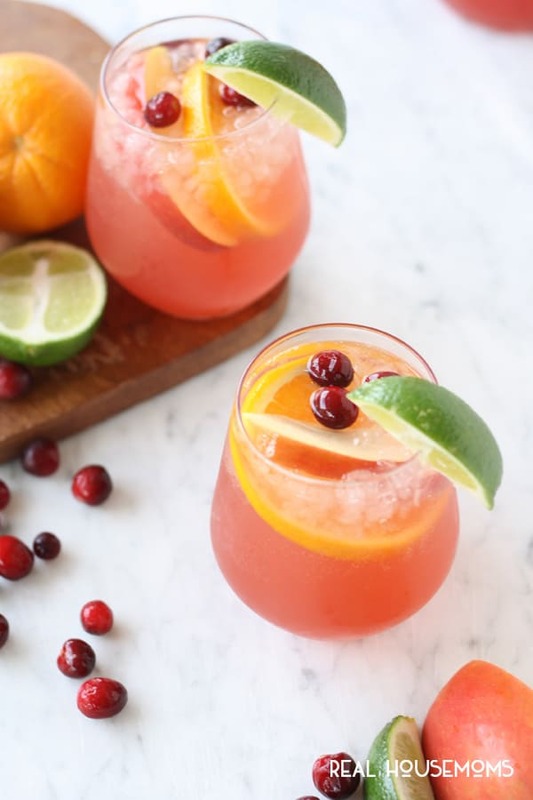 If you are going to be entertaining this holiday season, make sure to mix up a batch of this orange cranberry holiday party punch. In a large pitcher mix together cran-apple juice, frozen cranberry concentrate, orange juice and lime juice. This is the punch base. Chill the base until ready to serve. Just before serving, add ice to punch bowl or drink dispenser. Add punch base and then add ginger ale. Add any garnishes to punch you like. 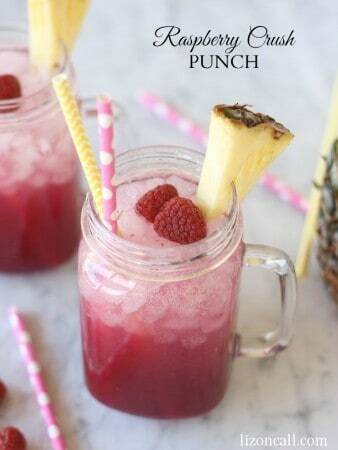 Turn this punch into an adults only drink with 1 cup vodka, silver rum, or coconut rum. Check out all our easy party punch recipes like this raspberry crush punch, the best party punch recipe ever!